Have you imagined to walk on the water or in the sky? 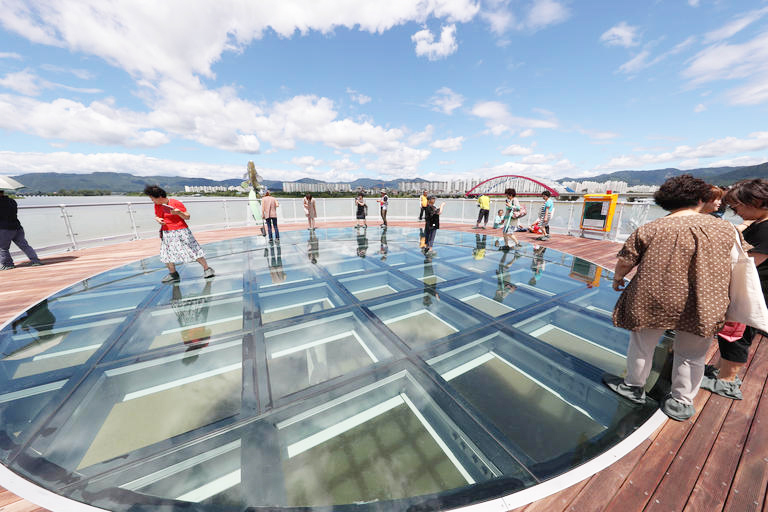 Today we introduce 4 places in Gangwon that you can look down the clean and clear scenery just like a bird’s eye view! Gubongsan Mountain Observatory is one of the most scenic driving courses in Chuncheon, stunning with its breathtaking views both day and night. With fresh brewed coffee in hand, go for a stroll to its outside terrace or garden where you can gaze out on the beauty of Chuncheon. The observatory offers the best spot to see the night view of Chuncheon. Cafes and restaurants decorated with different themes provide good coffee and a great food. You can enjoy sitting on the wooden deck and watching the world around you at its finest. 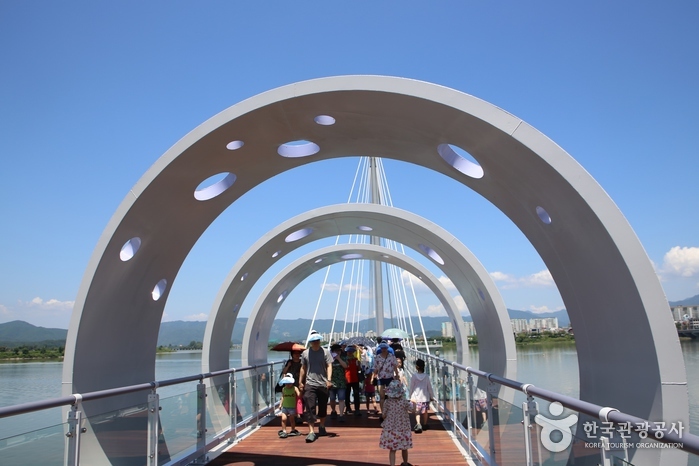 2 places can be covered by Chuncheon City Tour Bus! Take a look how to enjoy the city tour bus with DKYW 2017 campaign. it an attractive point to visit. Janghohang Port is just 25km from downtown Samcheok. The port is famous for its round beach line and white sand shore and is known as the “Naples of Korea.” From the beach, Janghohang Port offers excellent views of unique rock formations in the sea. Being that it is a port town, it is a rich provider of seafood such as abalone, seaweed and sea cucumber. 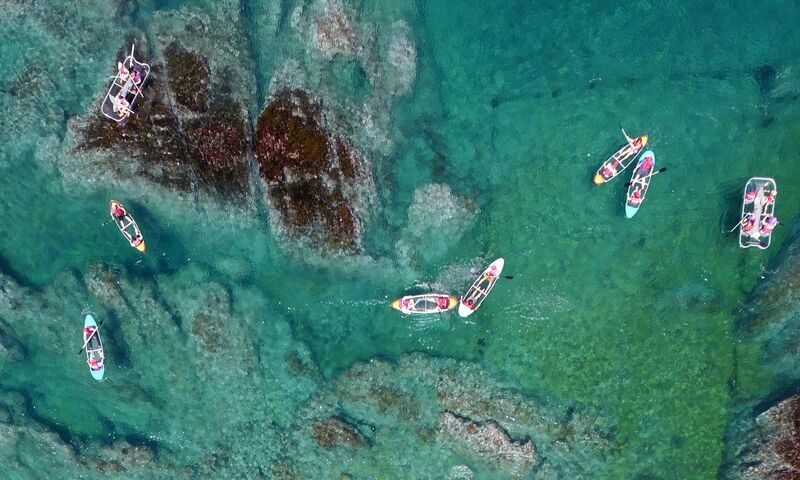 It is also known as an excellent place for recreational fishing.